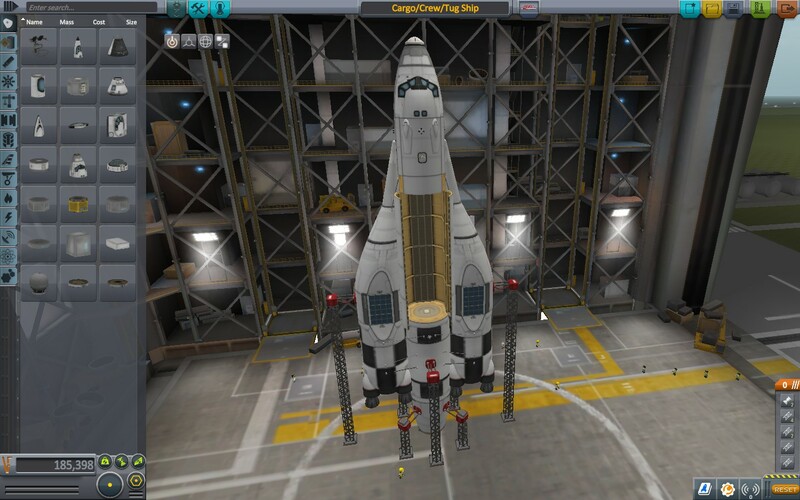 This design came out of a think-tank interested in the capabilities of SSTO ships. The margins for getting into orbit are slim, and the craft must be pointed vertically until it reaches the thinnest layer of the atmosphere. Its powerful engines fire in several bursts lasting a few seconds until the tanks are empty. Watch your map closely in between bursts. RCS may be necessary to complete orbit. Always check your action groups before launch.